The Central Coast Wine Classic provides many opportunities for its guests to increase their knowledge of food and wine from around the world by offering many Symposiums on a variety of topics. 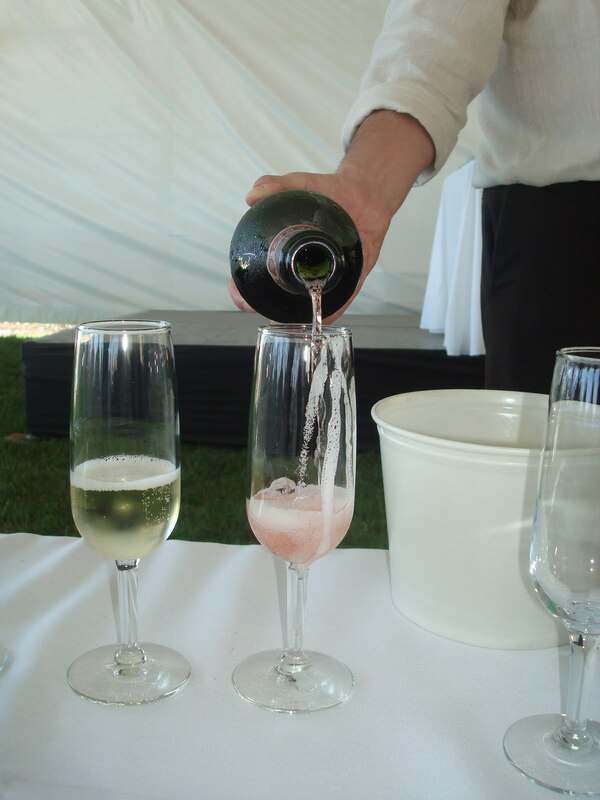 The Champagne Deutz Symposium with Fabrice Rosset provide guests with a very special opportunity to sample some of the world's greatest Champagnes , one of which only 0.012% of the population will ever have the opportunity to taste. 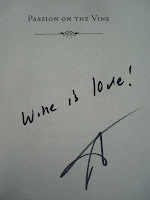 This is what we feel is one the many aspects the Central Coast Wine Classic has to offer. Nestled into the slops of the famous vineyards of Aÿ, France are the picturesque stone buildings of Champagne Deutz, founded a century and a half ago by William Deutz and Pierre-Hubert Geldermann. 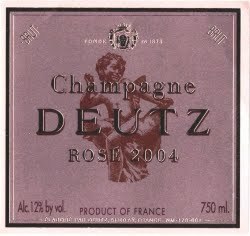 Today, Deutz upholds the traditions of fine champagne-making handed down through five generations. 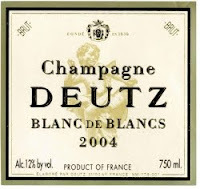 Owning a significant portion of its own vineyards, Deutz selects only top quality grapes from 275 acres of vineyards in the finest crus of Champagne. The wines are slowly and carefully aged in Deutz’ chalk-walled cellars far beneath the historic village of Aÿ. 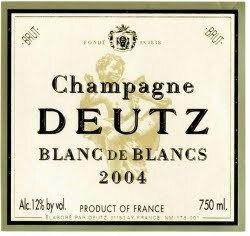 One of the oldest members of Champagne’s prestigious association of Grands Marques houses, Champagne Deutz has been making distinctive champagnes characterized by finesse, elegant vinosity and complexity since 1838. 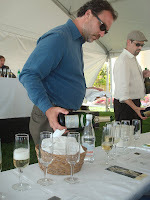 Fabrice Rosset came all the way from France to take us through these incredible Champagnes. 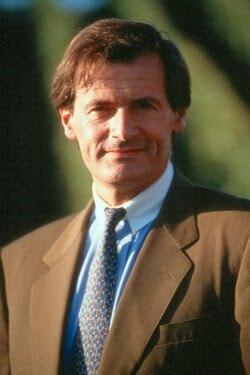 More than 20 years ago, Fabrice Rosset joined the House of Louis Roederer and worked alongside Jean-Claude Rouzaud (owner of the Company) as Export Director, International Sales & Marketing Director and Vice-President. 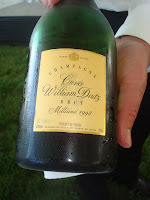 Fabrice is now Chairman and CEO of Champage Deutz. When René Deutz and Alfred Geldermann inherited the business from their fathers in the late 1860s, sales of their Champagne had been consistently rising for years. Alfred Geldermann later married René's sister, Marie Deutz, strengthening the bonds of partnership. 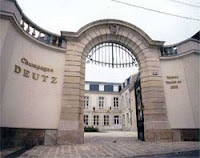 Deutz took its place among the great Houses of Champagne when it became a founding member of the Syndicat des Grandes Marques. During the Great Depression, disaster was avoided when Marie Deutz reinvested a large part of her considerable personal wealth into the Company. A new commercial director was chosen to replace Charles Van Cassel. Georges Kaminski soon had the House's sales in order, and by 1934, a normal rhythm returned to the financial affairs of Deutz: 132,530 bottles sold, two thirds on the French market. This upward curve continued through the second World War. In 1938, just before WW II, René Lallier died, leaving the company to his son Jean Lallier. 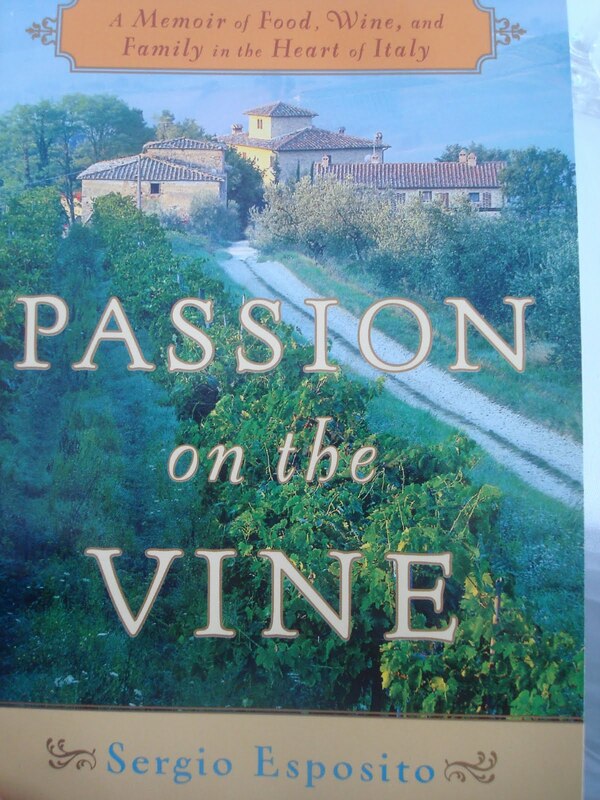 His first task was to get the winery through the war years. These were difficult times because there was no money to buy grapes, no bottles, no horses to help work in the vineyards, and above all no men to make the wine. But paradoxically, the Third Reich did nothing to stem the flow of champagne production. 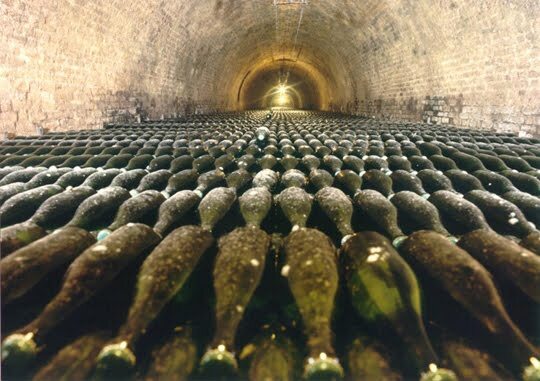 In fact, the wineries of Champagne were forced to collectively produce between 15 million and 18 million bottles in five years, and obliged to supply the German Army with a set number of cases in proportion to annual production. André Lallier instituted modern methods of management to meet the challenges of the '80s and '90s. While maintaining many of the wine making techniques taught him by his father, André also asserted Champagne Deutz' modernity and implemented many technical upgrades in the winery - finer presses, a better tank room, and an improved disgorgement process. 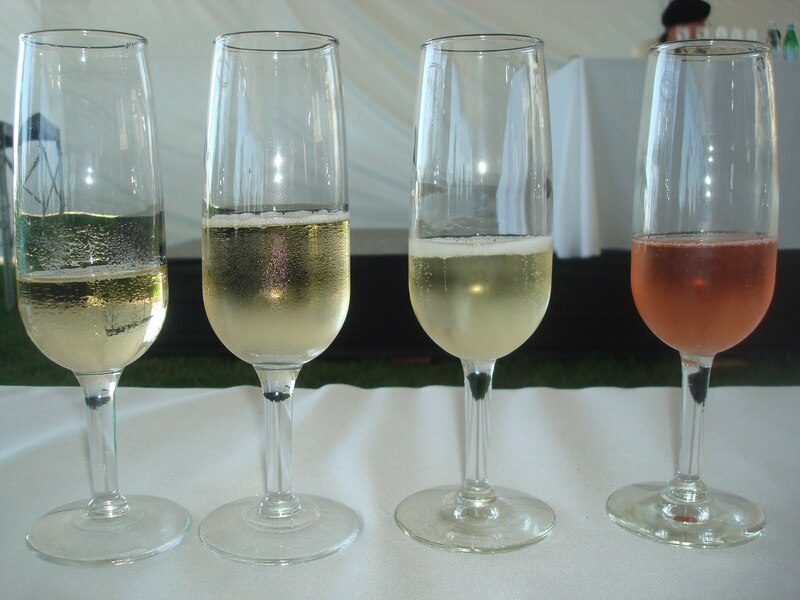 "The primary materials in the making of champagne have evolved so much," he said. 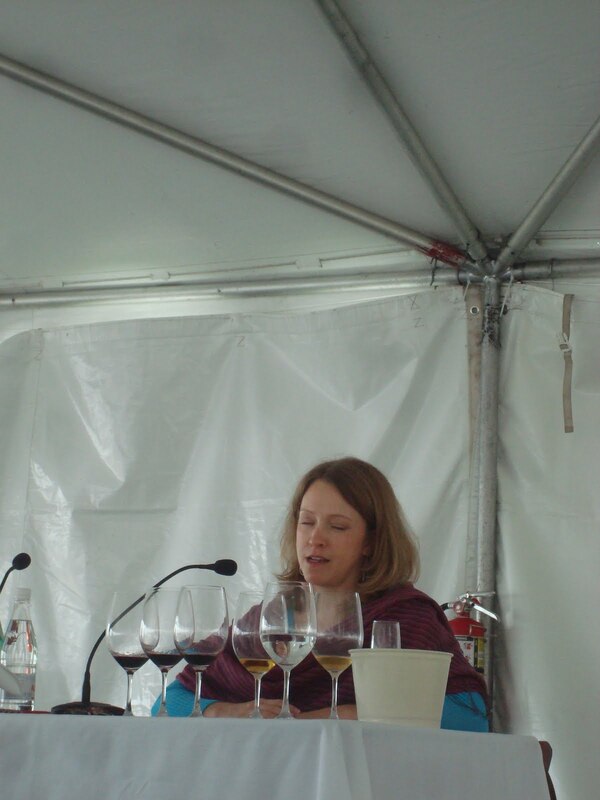 "The present-day grapes are healthier, better cared for, vinified in vats of stainless steel instead of wood, temperature controlled, and all oxidation is avoided." 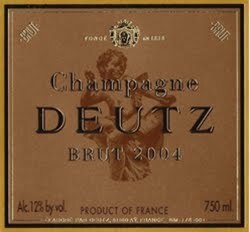 André focused on improving Deutz' sales network in France, and production grew from 29,000 cases in 1965 to 85,000 cases in 1996. In 1996, André retired. His son, Jean-Marc Lallier, remains as Export Director. 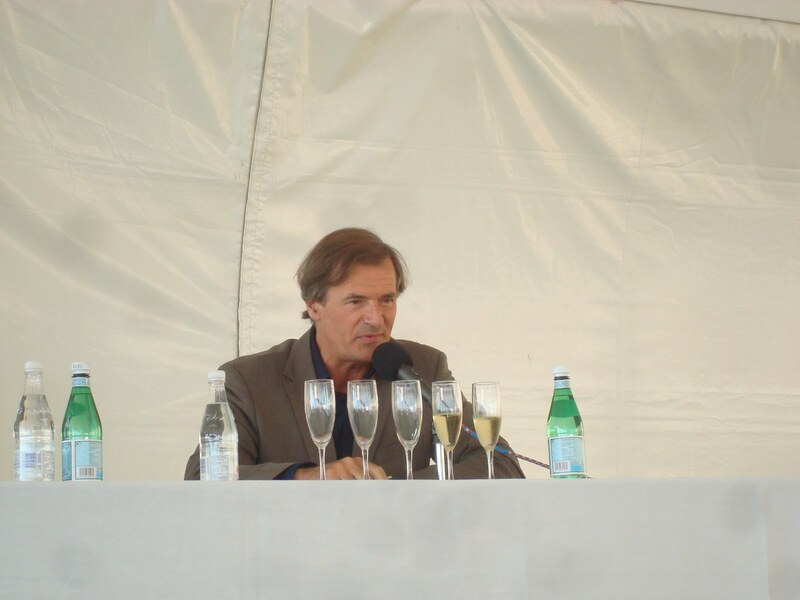 The new President of Champagne Deutz is Fabrice Rosset, a 20-year sales and marketing veteran with Champagne Louis Roederer. Today, the past and present live contentedly together at Aÿ, merging tradition and technology to create elegant champagnes in the timeless Deutz style. After Fabrice told us the amazing story of Detuz is was now time to "taste" the history and he was with us every step of the way. 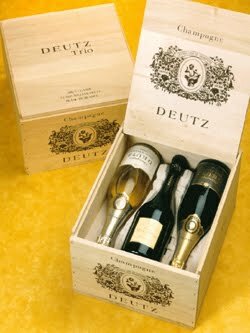 Deutz Brut Vintage is created in only the best years when a vintage is declared and only 11 vintages have been released since 1974. 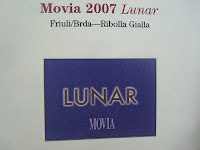 The wines are blended from the finest crus and age at least three years on the lees, one year more than required, in order to develop a rich bouquet and flavor. The grapes are harvested in Aÿ, Marne Valley, Côtes des Blancs, and Montagne de Reims. Of these vineyards, 40 percent of the grape supply is from Deutz vineyards that are rated 97 percent out of 100 on the Champagne classification scale. The harvest takes place over a 10-day period, generally between Sept 15-Oct 15 and are hand-harvested using the utmost scrutiny. The grapes are then carefully transported to the grape press to be pressed using automatic and traditional Coquard basket presses. 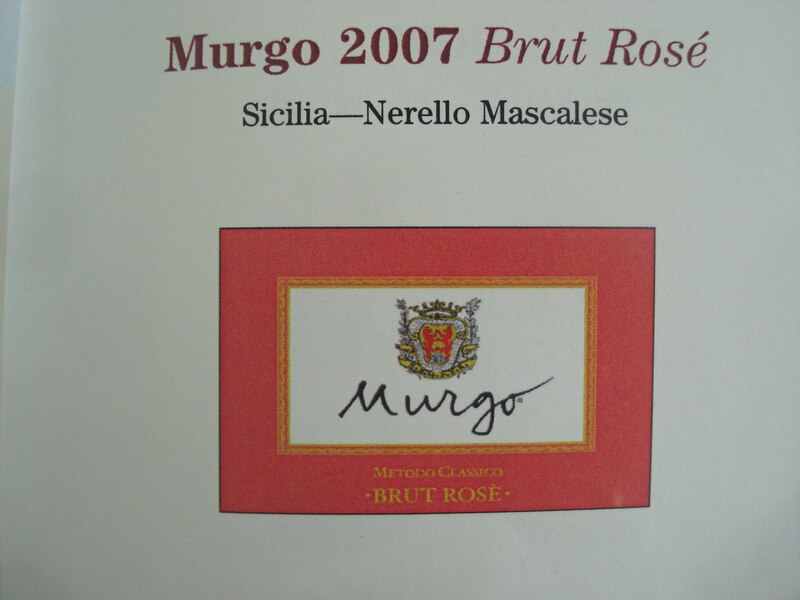 One-hundred percent malolactic fermentation is used. The wine is fermented in 3,000-gallon tanks at 62 degrees Fahrenheit for two weeks. The wines are then left to age and hand riddled in traditional riddling racks. The grapes are harvested exclusively from Le Mesnil sur Oger (40%), Avize (50%) and Villers Marmery (10%). 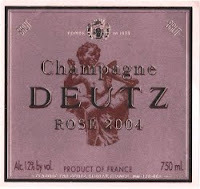 Forty percent of the grape supply is from Deutz' own vineyards, which rate 98% on the Cham¬pagne scale. Made exclusively from Pinot Noir, 80% of these grapes come from the Montagne de Reims area, and the remaining 20% come from the Marne Valley. The specific style and color is obtained by the addition of 9% of red wine, whose Pinot Noir grapes come from two plots on the Aÿ hillside called “La Côte” and “Meurtet”, both that have perfect exposure. After 4 years ageing in our cellars, its aromas have perfectly blended, and the Brut Rosé has a very subtle nose and a palate that shows remarkable power. A precise, full and ample flavor, complemented by the richness of full-bodied, ripe fruit, emulating a high class Pinot Noir. 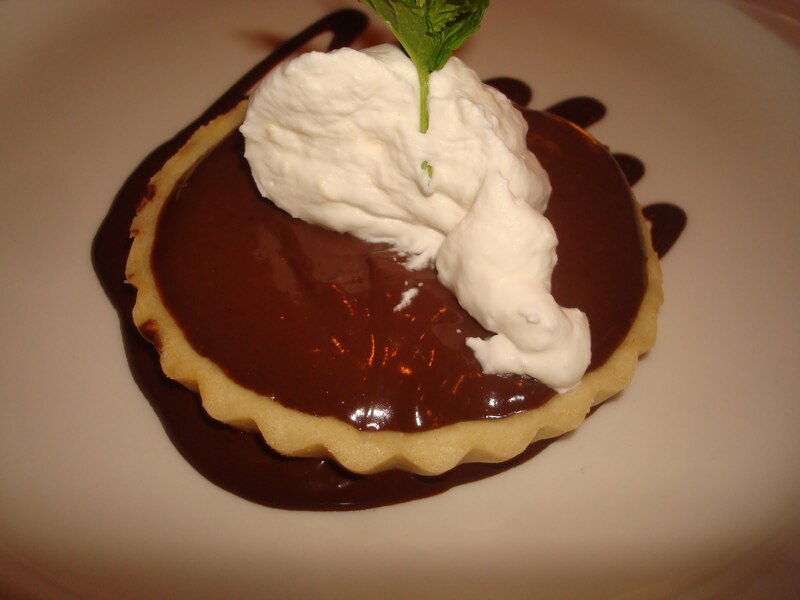 • With a dense, tight texture, leaving in its wake lingering notes of great elegance. Created in honor of the founder of Champagne Deutz, Cuvée William Deutz is only made in years when nature bestows on the Champagne region an exceptional harvest (on average, 1 year in 3). 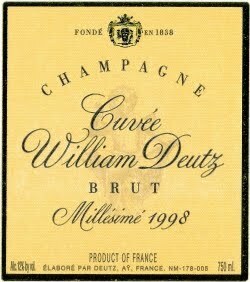 Cuvée William Deutz is only made available to the discerning few - only 0.012% of the population will ever have the opportunity to taste this superb champagne. The cuvée is aged a minimum of 5 years in Deutz cellars buried 25 meters (82 feet) underground to ensure ideal conditions of humidity and temperature. The entry is crisp and the wine then develops considerable finesse, also revealing delicate flavors of sultanas that evoke the charms of a sunny place. 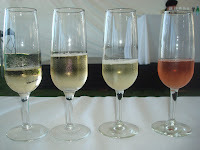 showing a full range of secondary aromas that are usually found in Champagnes that have been aged for a longer period. 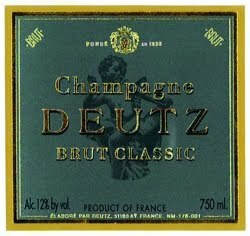 Since 1838 Champagne Deutz has provided the world with one of the finest Champagnes . Having Fabrice Rosset explain the history and take us on a tasting journey was an opportuinty that will be in our memory for a very long time. 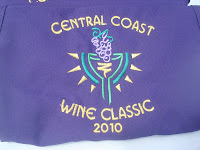 The Central Coast Wine Classic really went above and beyond to provide an opportunity like this very special Symposium. 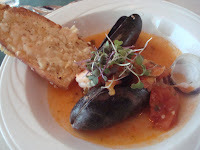 Edna Valley Vineyards teams up with The Central Coast Wine Classic and provides a winemaker dinner " Around the Word "
The Central Coast Wine Classic is not just about wine but great food as well. 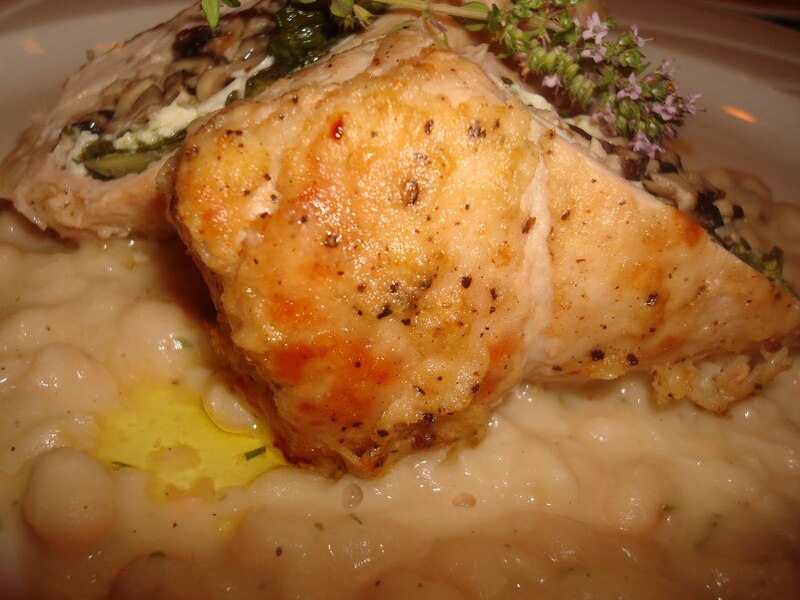 Celebrity Chefs and local Chefs alike spread out all over California's Central coast from The Hearst Castle , Private homes , San Luis Opispo and the Edna Valley to provide a wonderful culinary experience to the guests with some very picturesque settings. 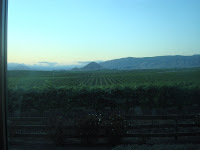 We were picked up in our Chauffer driven coach and transported to the Edna Valley as the sun was setting over the vineyards . 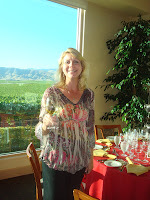 Our winery dinner was at the famous Edna Valley Vineyards. 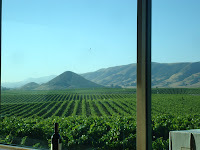 Edna Valley was approved as an American Viticultural Area (AVA) in May 1982 because of its unique topographical setting and grape growing characteristics. 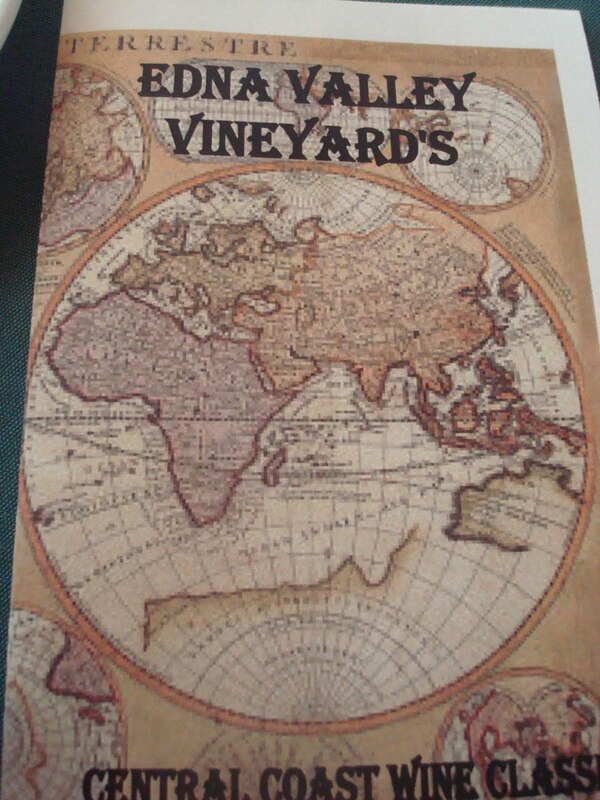 This unique geographical location, cool climate and soil content all have an influence over the grapes grown in the valley and the wines made from those grapes. 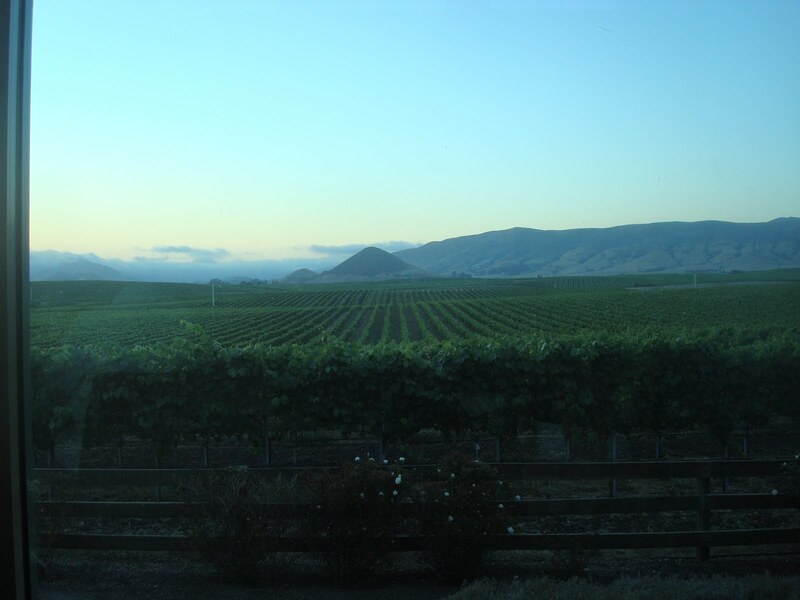 The convergence of maritime climate, the marine sediment in the soil, and the volcanic influences of granite and tufa give Edna Valley wines a distinctive flavor. These are big, concentrated wines that maintain their balance. Edna Valley Vineyard sits in the heart of this appellation and benefits from these traits that combine to make this appellation unrivaled in may respects. Edna Valley's Director of Winemakeing Harry Hansen met the guests as we sampled his Viognier , White Rhone " V " , Pinot Noir and Syrah and we enjoyed Pissaladiere , Grujeres of Compte cheese and Confit of Duck with Roasted Garlic. Harry explained at the heart of his wine making is the idea that wine should be as pure an expression of the place and the grape as possible.They handle the fruit gently and treat the wine with respect, minimizing pumping, fining, and filtration. 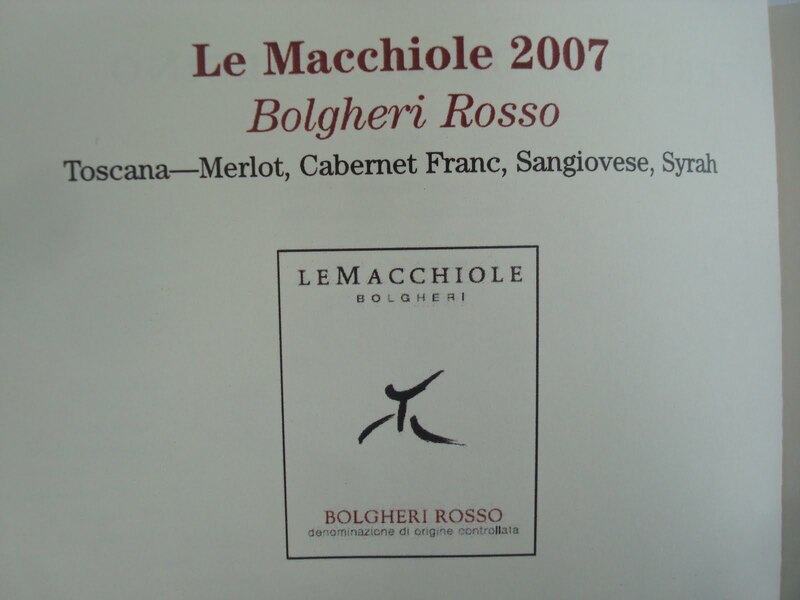 His wines are aged mainly in French oak barrels selected for their complementary qualities. 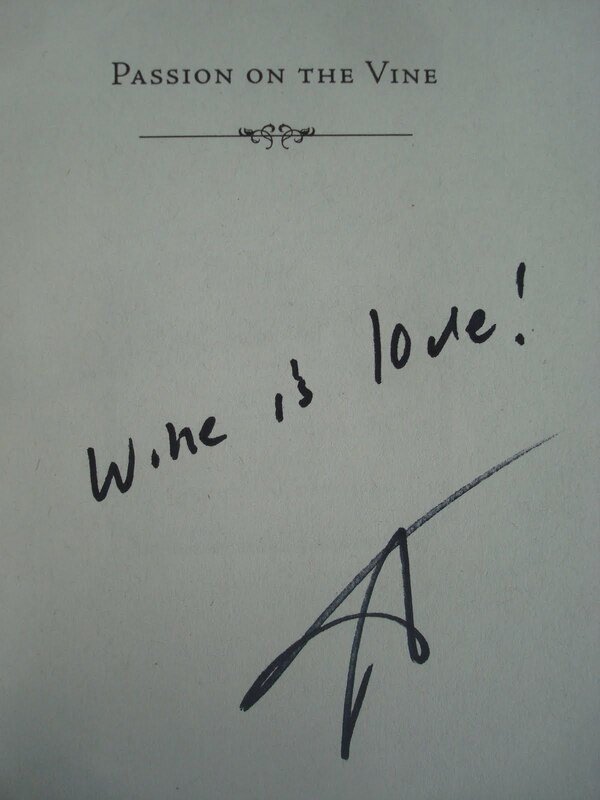 In short, he uses an artisan's approach to New World wine making. Edna Valley Vineyards focuses on estate-grown Chardonnay and produce Pinot Noir, Syrah, Merlot and Cabernet Sauvignon using new varietal clones. 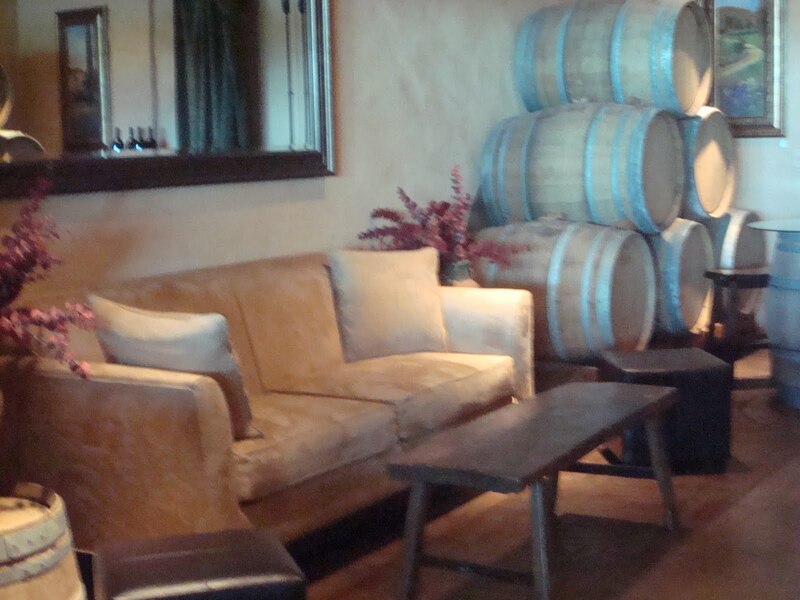 They craft a variety of limited production wines that are sold exclusively in their tasting room. After enjoying some French starters and taking in the view, it was time to move into the dinning room overlooking the vineyard. 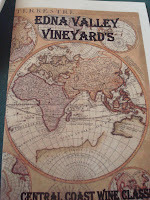 Harry Hansen delighted us when he explained that he will be taking us to France , Italy , Spain , Croatia and Germany all featuring wines from right outside our window ! 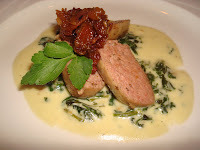 We could not help but reflect on our moonlit drive out of the Edna valley on the meal we had just had and the wonderful diversity of the Edna Valley and Edna Valley Vineyards. For more information on Edna Valley Vineyards or for a visit please visit ednavalleyvineyard.com. Tell them VINO LAS VEGAS sent you and have fun . Unlike some events we have attended over the years, The Central Coast Wine Classic pretty much covers the world of food and wine. With more than 2,000 grape varieties and 27,000 producers, the Italian wine world is a challenge to professionals and enthusiasts as well. Christy explained our Menu dell’ Assaggio which featured six amazing Italian wines and we began our early morning journey through Italy. This Estate has been producing wines since 1850 , and is located very close to Mt Etna and its Volcanic sands which impact the minerality of the wine. 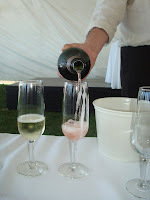 This lovely metodo classico showed us delicate flowers and crisp apples providing us a great way to start the day. 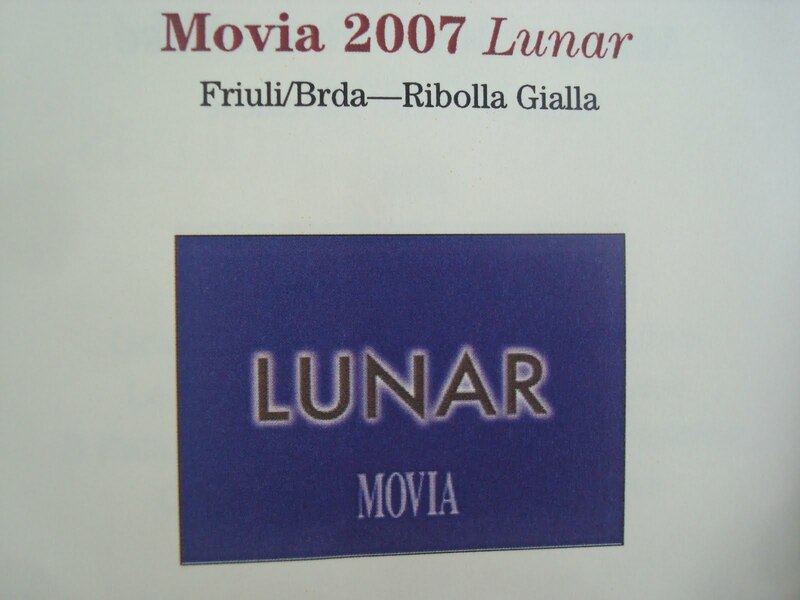 Movia has been producing wine for more that three centuries. This wine is unfiltered and Bio Dynamic as well showing the Kristancic family’s non interventinalist approach to wine making . On the palate , the wine was clean with intense minerals and floral notes on the nose as well. Josko Gravner is Friuli’s most profound and influential winemaker. 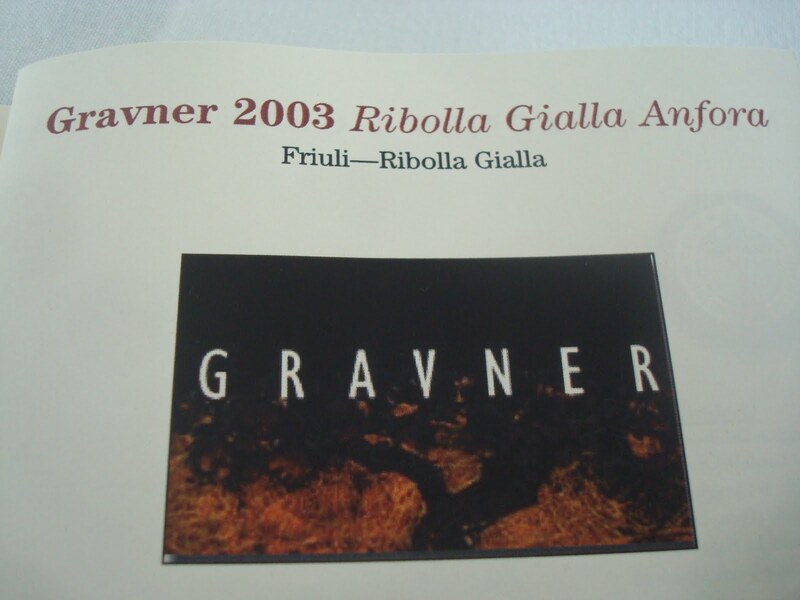 The Ribolla Gravner is on of Friulu’s oldest indigenous vines and Gravner has plans to author a movement of reclamation of the varietal . Gravner himself stated “ This wine is best served decanted at room temperature and despite critic observations , is not a delicate wine”. We could not agree more. 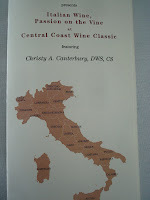 It was a real treat to have enjoyed this native Italian varietal. 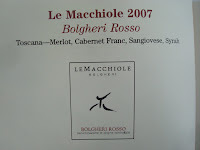 Bolgheri Rosso debuted with the 2004 vintage . This wine was a nice and mouth watering surprise to us with it’s French Blend and a touch of an Italian flair with Sangiovese in the forefront. 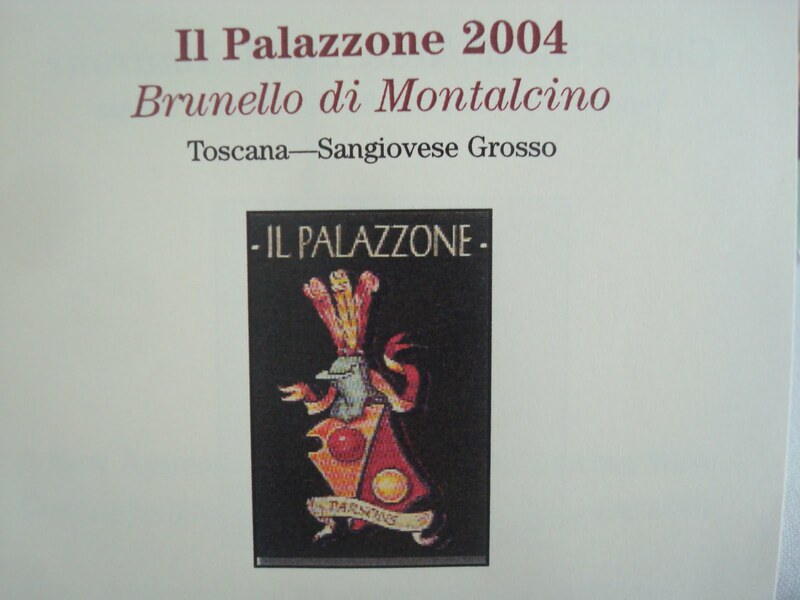 II Palazzone “ The Big Place “ is a small estate of only 20 acres ( 10 of which are under vine ). 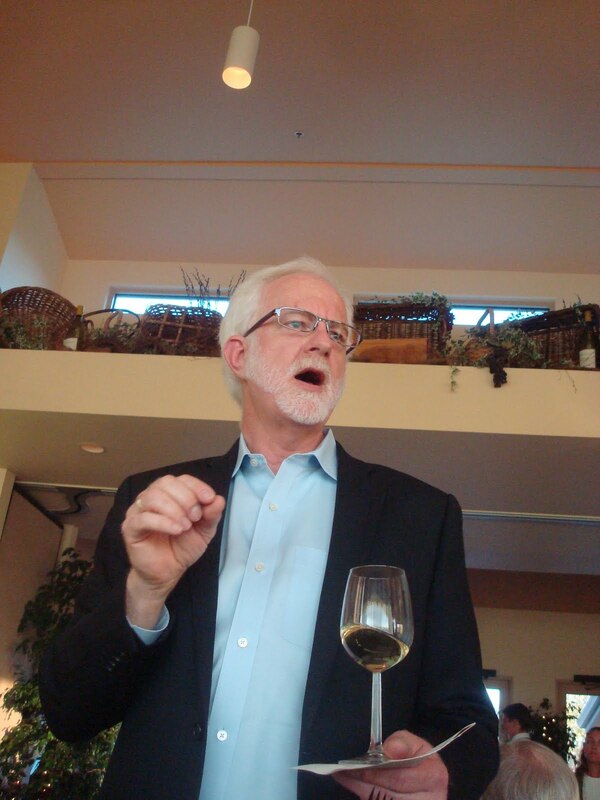 Under the right care , these wines exhibit an austere character and possess the ability to age very well. This wonderful Sangiovese adheres to the DOCG prescription of three years but extends the bottle ageing six to eight months longer than other estates. 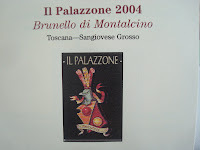 The II Palazzone 2004 was well structured and elegant. 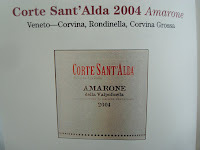 Amarone is the flagship of Veneto and its shows in this wine that was perhaps are favorite of the morning. With the classic intense flavors of raisins , dried fig , spice, minerals and tar the Corte Sant’ Alde represents Veneto well. Gorgeous fruit and depth of flavor came through on the nose , palate and then a lovely long finish. 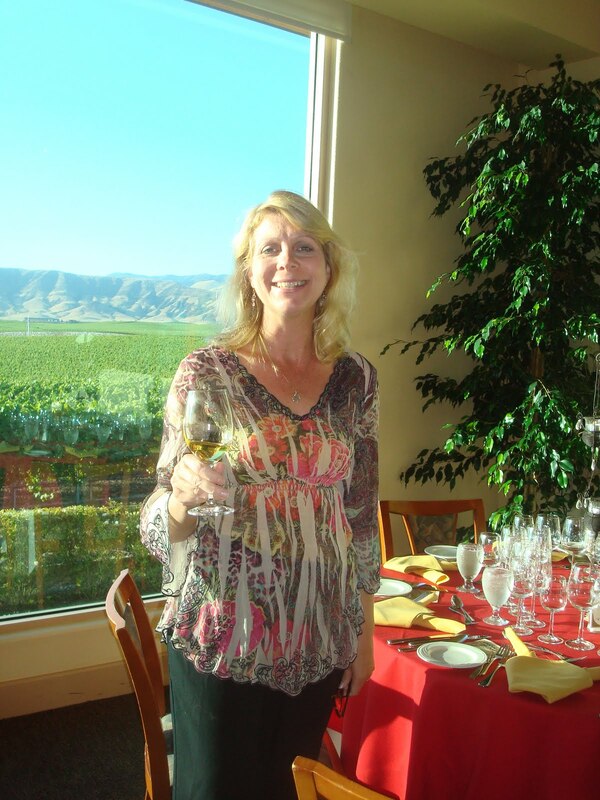 The Central Coast Wine Classic with its intimate , educational events moderated by experts in their field such as Christy Canterbury provide a wonderful way to learn , dine and sip while giving back to the arts . VINO LAS VEGAS invites you to indulge your culinary fantasies at the third annual Carnival of Cuisine, August 7, 2010. You’ll have the chance to sample sublime creations from over 20 award-winning restaurants of The Venetian® and The Palazzo®, watch live cooking demonstrations, plus enjoy complimentary beverages and great entertainment. 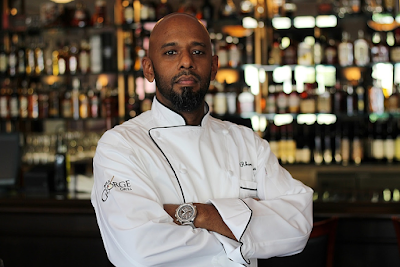 Ticket holders will have the chance to win prizes including signed cookbooks, restaurant gift certificates and show tickets.Carnival of Cuisine is presented by Grazie, the premier loyalty program that rewards guests of The Venetian and The Palazzo. Tickets are on sale now and may be purchased in person at any Venetian or Palazzo box office, by phone at 702.414.7469 or online atwww.venetian.com or www.palazzolasvegas.com. Tickets are priced $50 (all inclusive), and $75 for VIP tickets that include early 12pm admission and a gift. 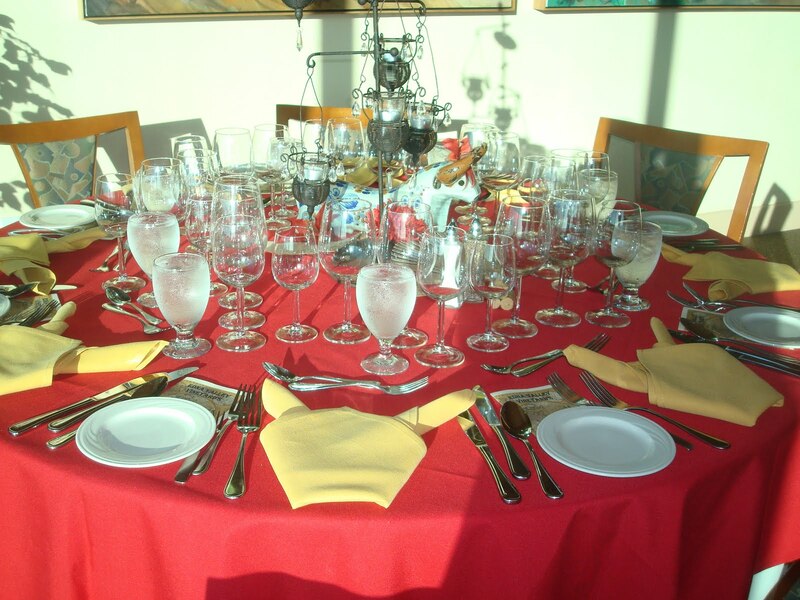 Guests must be 21 and over to attend Carnival of Cuisine. 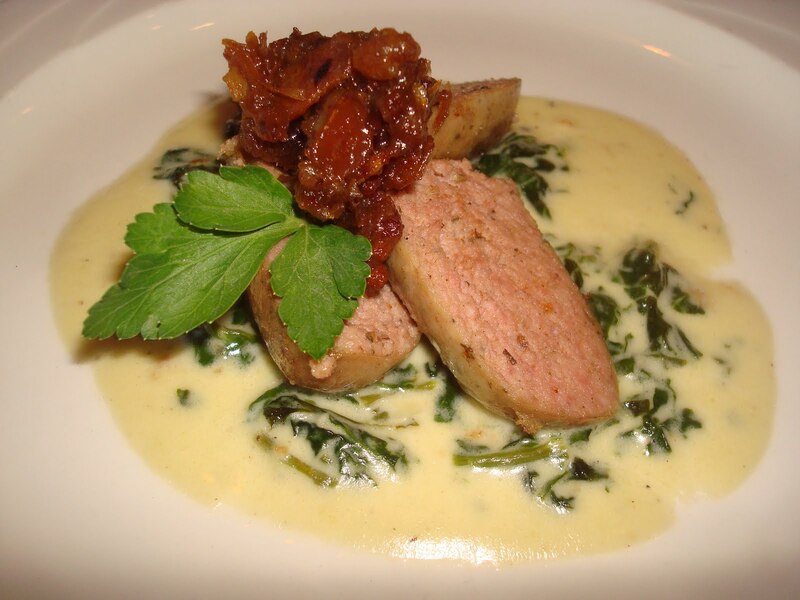 Grazie members may use Grazie points towards tickets to this one of a kind event. 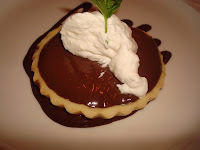 Please call Grazie at 877.2GRAZIE or 702.414.4116 for more information. We have attended this wonderful event the last three years and it just keeps getting better . See you there ! 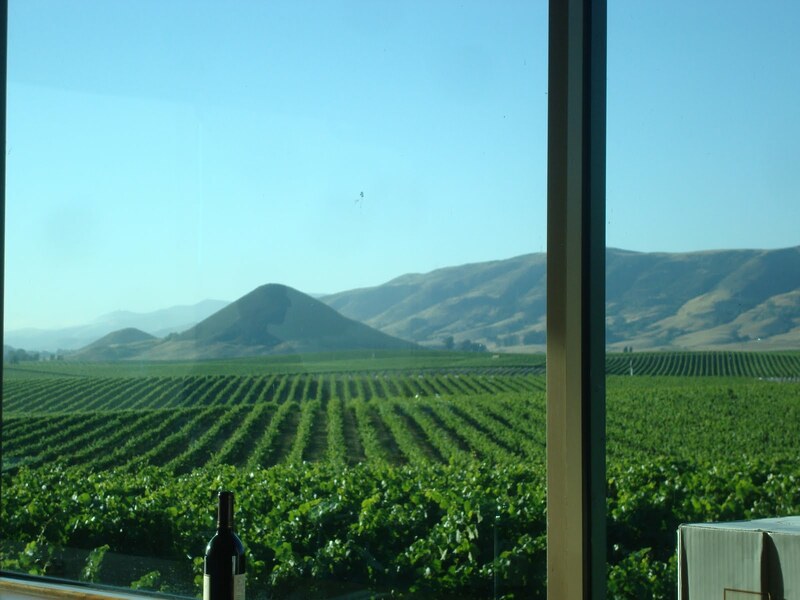 San Luis Obispo County, located halfway between San Francisco and Los Angeles, has earned worldwide recognition and respect for the exceptional quality of wine grapes produced in this ideal viticultural area. The area includes the Edna Valley, the Arroyo Grande Valley, each a designated American Viticultural Area, the Avila Valley and Nipomo. 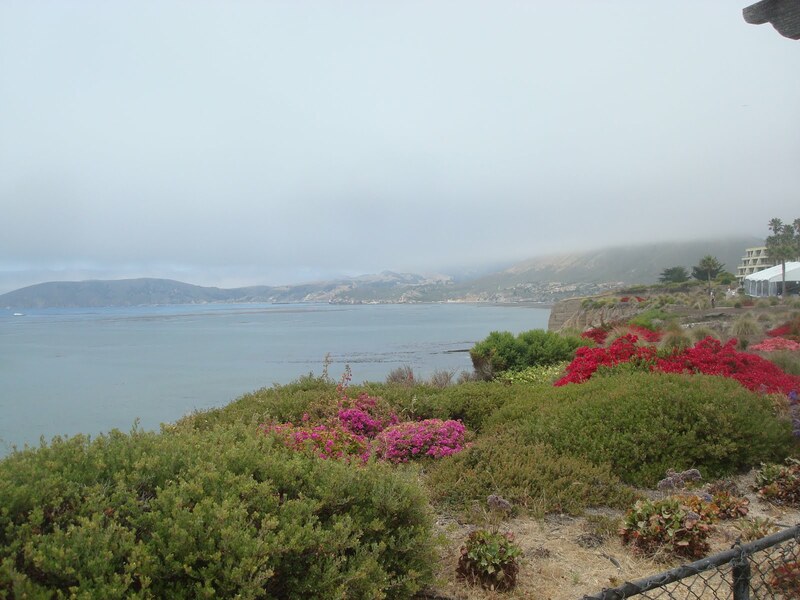 Join us and experience the beauty and diversity of California's Central Coast! 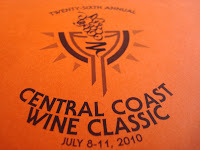 Participate in the 2010 Twenty-Sixth Annual Central Coast Wine Classic. The lovely areas of Avila Beach, Shell Beach, San Simeon, Arroyo Grande, San Luis Obispo and Paso Robles will be the venues for this long running a very prestigious event. With a schedule like this there is something for everyone ! 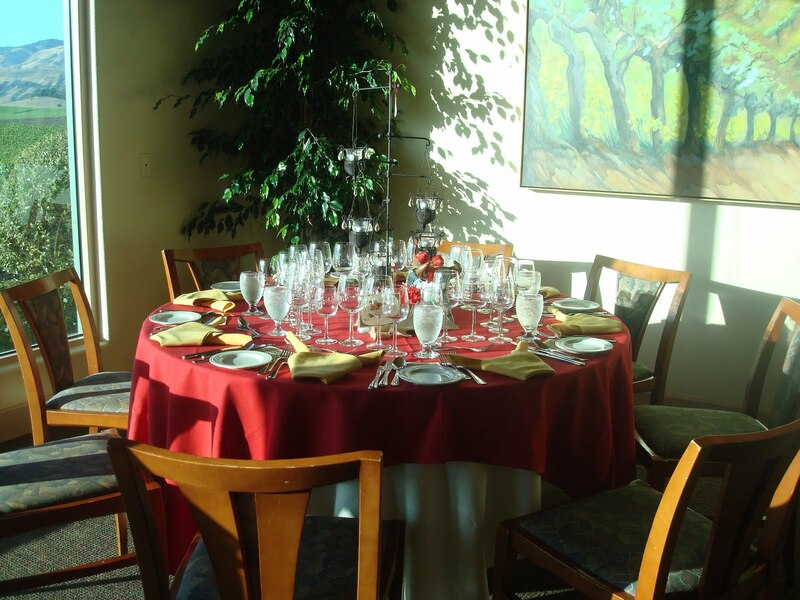 Featuring special vintners on the panel whose wines will be presented by Georg in the Riedel "Vitis" Series of Stemware, Vitis Riesling, Vitis Montrachet Chardonnay, Vitis Pinot Noir & Vitis Cabernet Sauvignon, with the four specific glasses included for each person attending the Symposium. The retail value of such a set is $170.00. At Dolphin Bay Resort & Spa. Hosted by Fabrice Rosset, Chairman of the Board of Champagne Deutz, and featuring the panoply of exceptional renderings of Champagne Deutz, at Dolphin Bay Resort & Spa. 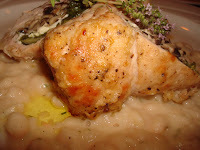 Including Ancient Peaks Winery at McPhee's Grill in Avila Beach, Baileyana Winery & tangent Wines at Lido Restaurant at Dolphin Bay Resort & Spa, Claiborne & Churchill Vintners, Saucelito Canyon Vineyards and Tolosa Winery at the San Luis Obispo Country Club, Eberle Winery at the Winery, Edna Valley Vineyard at the Winery, Justin Vineyards & Winery at the Winery, Still Waters Vineyards at the Winery, and Windward Vineyard and L'Aventure Winery at Windward Vineyard. Transportation from & returning to the Dolphin Bay Resort & Spa is included. 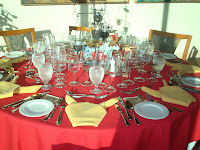 All Auction activities are at the Official Host Auction Venue, the Avila Beach Resort, in Avila Beach. *Silent & Live Auctions, Luncheon & Live Auction Catalog are included in the Rare & Fine Wine & Lifestyle Auction attendance price. Transportation from & returning to the Dolphin Bay Resort & Spa is included. 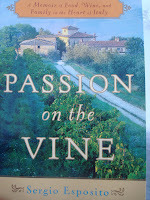 Italian wine authority and recent Central Coast Wine Classic Fine Wine Honoree, Sergio Esposito, owner of Italian Wine Merchants in New York, will lead an exciting tasting of the wines and producers that led to the creation of his seminal book on the Italian wine culture, Passion on the Vine: A Memoir of Food, Wine and Family in the Heart of Italy (Broadway Books, April 2008), a colorful narrative and evocative memoir of his journey from Italy to America to become America's foremost authority on Italian wines. 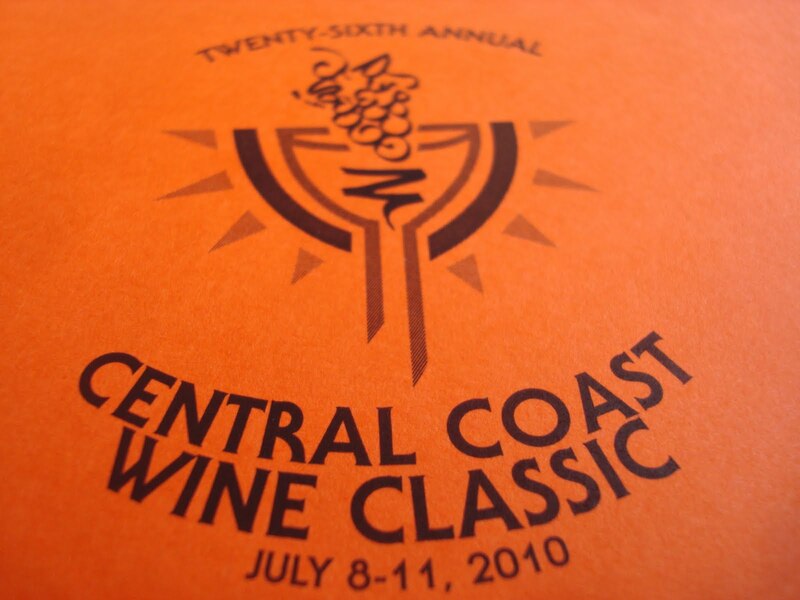 Featuring the most special wines of 75 California wineries, at Dolphin Bay Resort & Spa. 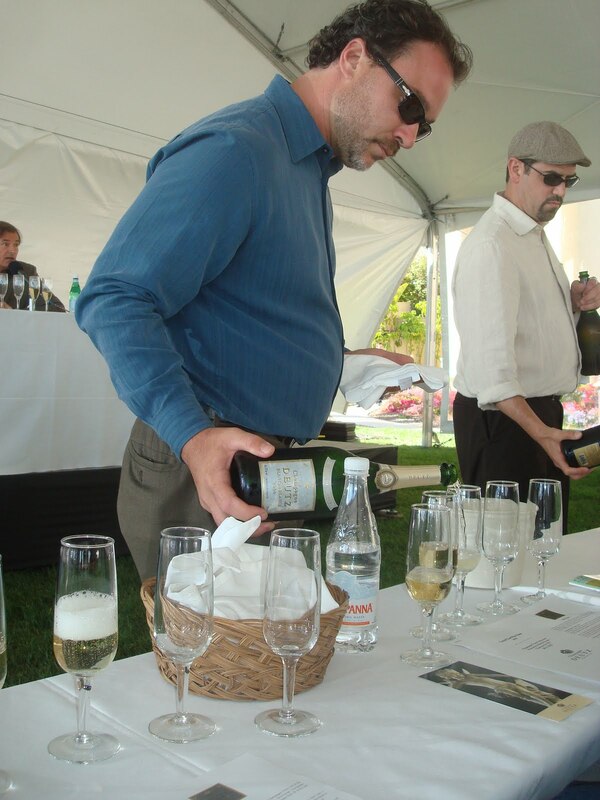 The net proceeds from the Wine Classic, the Foundation funds specific projects for 501(c)3 non-profit corporations in San Luis Obispo County and Santa Barbara County whose missions are in the Healing, Performing or Studio Arts. Over the past six years the Foundation has conferred grants totaling $1,370,025 to 62 such non-profits. Grants for 2010 will be conferred in early October in San Luis Obispo. 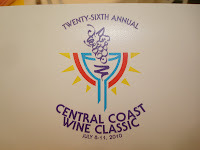 VINO LAS VEGAS and The Cuisineist will be on hand to experience the central coast like only the Central Coast Wine Classic can do. 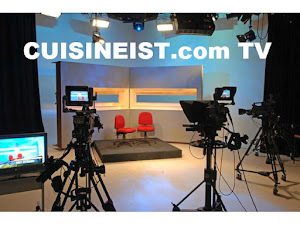 With seminars , dinners and even a luncheon with Chef Emeril himself. This promises to be a very unique experience. See you there ! The Palazzo Resort located right in the middle of the famed Las Vegas Strip is well known for its accommodations , shows and dining venues. This Resort has always had an outstanding reputation of "doing it right ". The AZURE Luxury pool spoils its guests keeping with the Palazzo's well deserved world wide reputation . Summer is here and what a better place to relax for a week or just a weekend than at the Palazzo Resort. Recently American Idol alum , Katharine McPhee made a special musical appearance for " Stereo Love Saturdays ". This very special young talent took to the poolside stage and hosted an afternoon party to celebrate the launch of Belvedere Pink Grapefruit Vodka. Katharine performed a musical set for her fans at AZURE pool. Feeling the Las Vegas heat , she took off her stiletto heels and gold necklace to jump off the stage and get into the water where she sang to her appreciative fans. She laughed and said , "I don't know about you, but I'm having fun here celebrating Belevedere Pink Grapefruit Vodka and of course hanging here at The Palazzo." And who could blame her ! Back on stage, she cooled off by spritzing herself with an Evian water misting and sang a song she wrote "Surrender" while fans clapped and cheered and then performed her rendition of Kings of Leon's hit "Use Somebody" while the crowd sang along. As she was getting ready to exit the stage, the pool guests started to scream for one more song. She asked for requests and her fans yelled "Somewhere Over The Rainbow." For those who watched American Idol , she did a wonderful version of this classic American song on the show and did not miss a beat on this warm cloudless day in Las Vegas. This young talented singer has a long career in front of her. AZURE is sophistication to say the least. It is the daytime pool experience for the guest who enjoys the finer things in life with exclusive amenities including poolside cabana massages by Canyon Ranch SpaClub, cuisine from celebrity chef Wolfgang Puck, Evian® water mistings and melodic sounds of AZURE’s live DJs. This is where the high-profile keeps a low profile while enjoying exquisite amenities and even complimentary frozen grapes and fresh fruit, Evian misting , chilled towels, and sunscreen application. If you want to treat yourself to five-diamond serenity with Strip views drenched in fun as the live DJ plays the hottest house music in Las Vegas, dance poolside, lounge on a daybed, or party in a private cabana, Azure Pool in the Palazzo resort is the place to be in Las Vegas when you want to cool off with the finer things in life.